Let's talk about massively huge tablets. When's the last time you said to yourself, "you know, I sure wish Google would make a Nexus 20...?" Probably never. You know why? Because as adults, we want tablets to be portable, utilitarian devices. Kids, though? Those crazy little humans don't care about utility or portability. They only care about maximum fun. So really, it only makes sense that a bigger screen = more funnerer, right? In the mind of a child, I'd say yep. 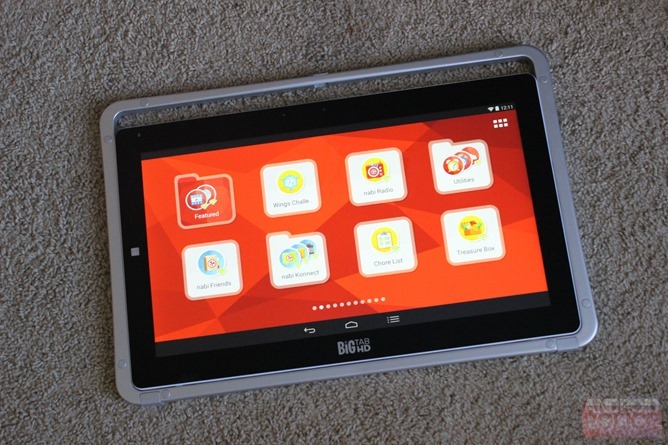 Since Fuhu knows a thing or two about making tablets kids want, they're keenly aware of the "bigger is better" mentality. 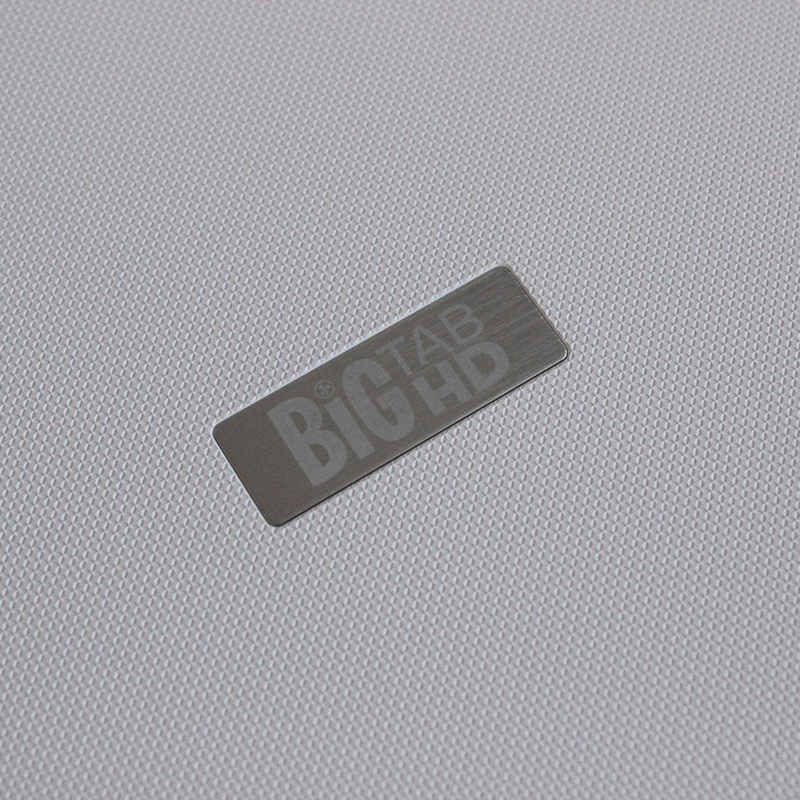 As a result, they built a couple of huge nabi tablets: the nabi Big Tab HD 20 and Big Tab HD 24. I've had the 20-inch model for the past couple of weeks, and you know what? It's actually pretty dang cool. It's a lot like the DreamTab, so if you've used that, imagine it with a 20-inch display and some cool two-player games, and that's kind of what the Big Tab HD 20 is like. If you haven't, well, read the rest of the words on this page. 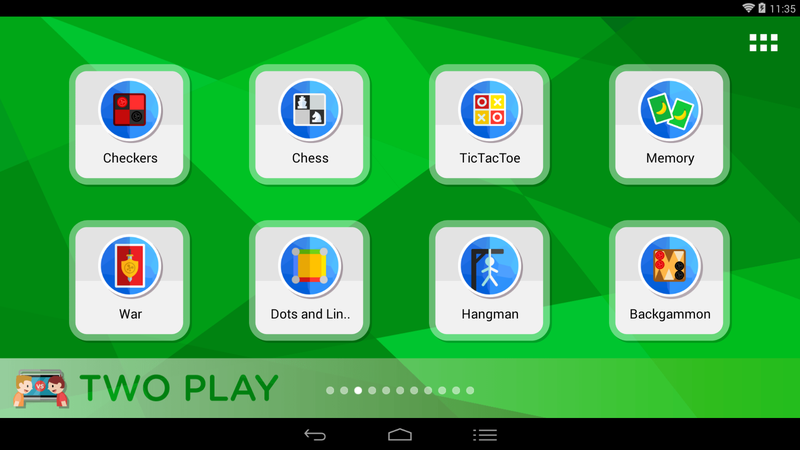 Lots of included educational software and games. Could use a larger battery for on-the-go play. The software is kind of janky at times. 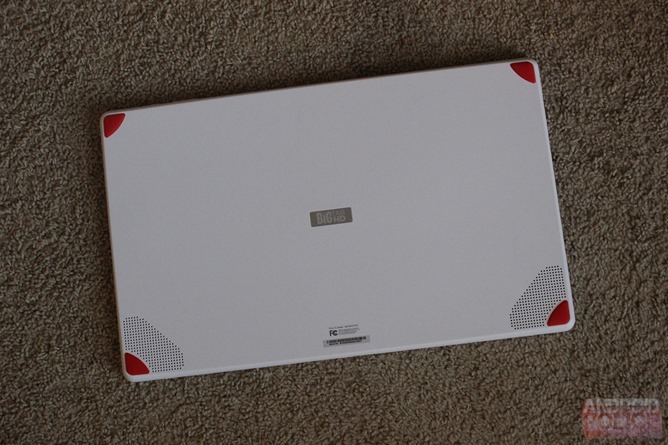 As you can expect with a 20-inch device, the nabi Big Tab is massive. 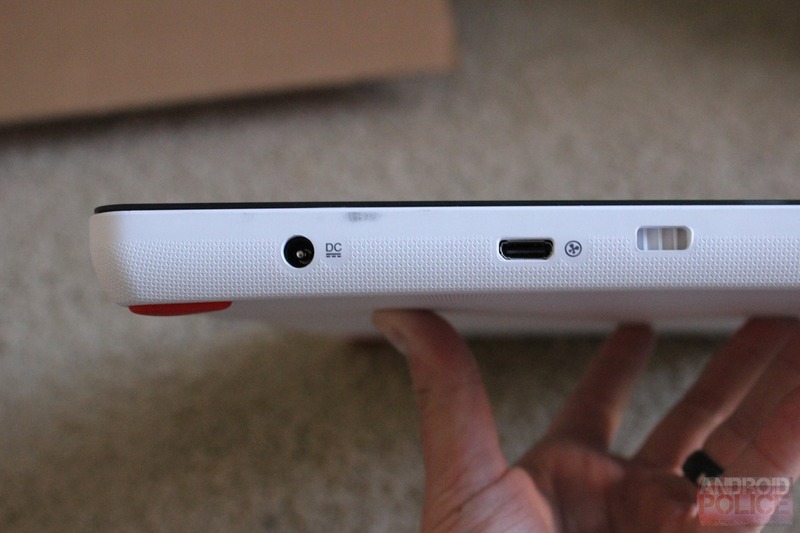 It's a huge, inch thick, 10 pound* tank of a tablet. As a result, it may not be the easiest device for a kid to tote from room to room, but it's still technically possible. The BT's 1,650 mAh battery should last about half an hour, and is essentially just in place so the tablet doesn't die during transition. As big as this monster is, I'd still like to see it have a larger battery for on-the-go play, but I guess that's what the smaller nabis/DreamTab are for (at least in Fuhu's mind). 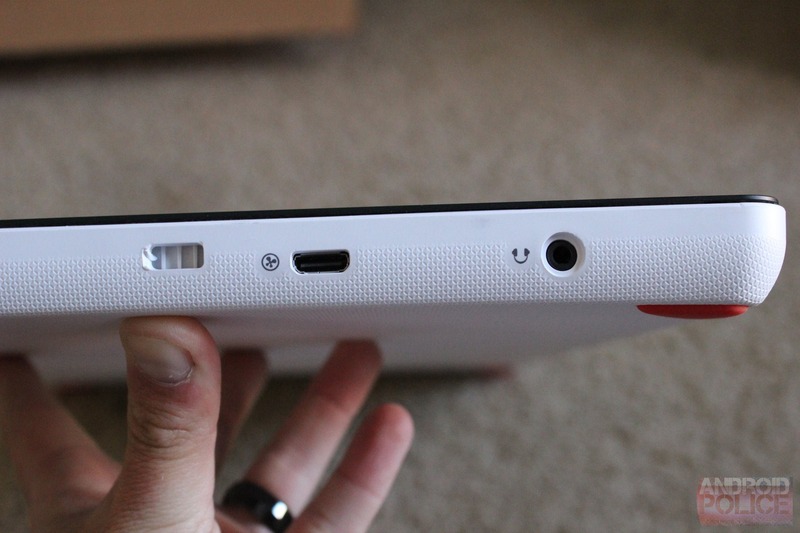 The overall look and feel of the BTHD is pretty much what you'd expect from a nabi. 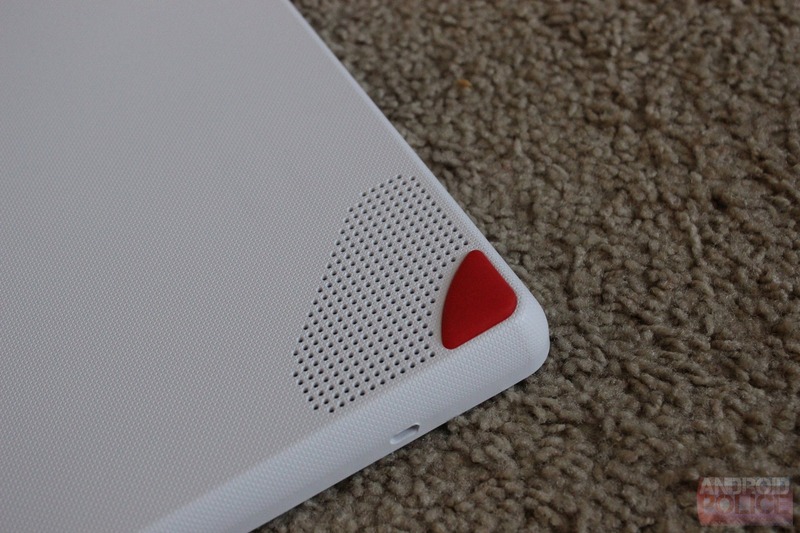 It's got a white plastic back and some rubber pads in all four corner in Fuhu's trademark red. That's a nice addition to have, as the tablet needs to lay flat for some of the multi-player games included, and that should keep it from scooting around on the floor/table/wherever. The sides of the device are pretty interesting, mostly because it has four nabi connectors – one per side. This is, of course, for Fuhu-specific accessories, perhaps like game controllers. These type of add-ons don't appear to be available at this point, so it's really hard to say what Fuhu has planned for all these ports aside from a couple of guesses. On other Fuhu devices, the nabi port is also used for charging, but that's not the case on the Big Tab – it's got a proprietary power jack and adapter. Normally this would annoy me, but on a device that's really meant to be in one place all the time and constantly plugged in, I'm less bothered by it. 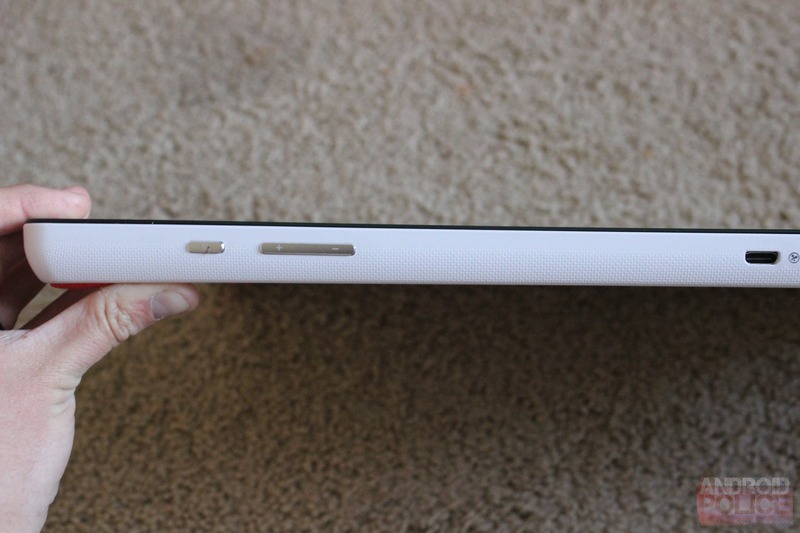 Other than the nabi ports, the BTHD has a couple of holes to lock the stand in place. The stand itself also has openings for all the ports, so everything is accessible regardless of how the device is being used. 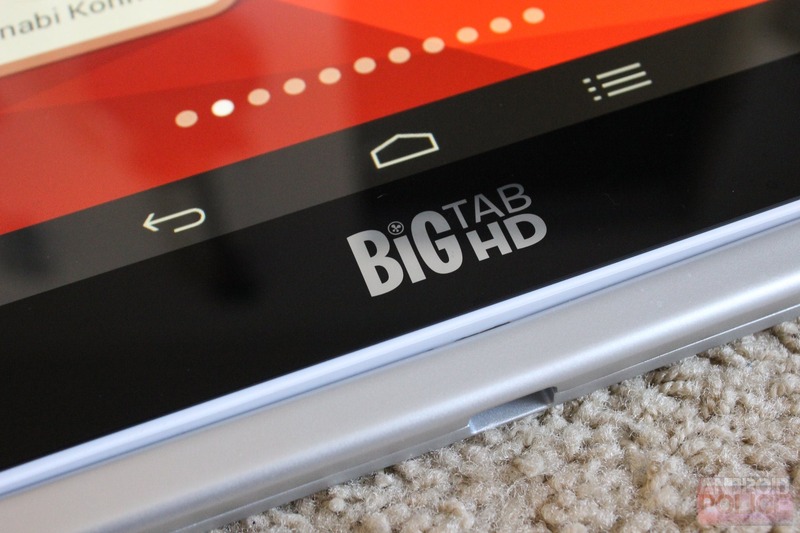 On the hardware level, the Big Tab's biggest downfall is the display. It's not terrible in most ways, but the resolution is disappointing – 1600x900 is just lacking on a display of this size. Colors and whatnot look fine and I don't have any other major complaints, but for $450, a 1080p display should be expected. It's worth noting that the 24-inch model does come with a full HD panel. * - 10 pounds with the stand, 8.5 pounds without. Either way, it's a biggun. 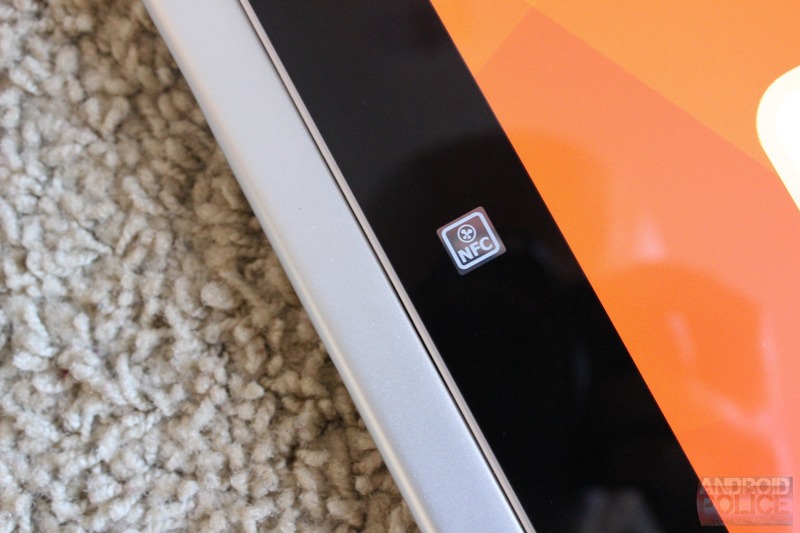 If you've used a DreamTab, then you're basically familiar with the Big Tab's software. It runs Fuhu's Blue Morpho OS, which is the evolution of the Monarch OS that ships on the nabi 2 tablets. The two are pretty similiar, though Blue Morpho has quite a few additional bells and whistles, like faster user switching, improved nabi mode, and a lot more. It all runs well enough on the Big Tab, though it has its share of quirks. Like I've experienced with essentially every nabi on the planet, the display randomly turns itself on for no reason. It's not super often, but it is enough to annoy me. Speaking of turning the display on, since the Big Tab is hugemassive, Fuhu dropped a potentially nifty feature that wakes the device when the display is touched. (Well, I assume this is a feature anyway, I guess it could be a bug.) It only worked about 70 percent of the time in my experience, so there's still some work to be done there, which may or may not happen eventually. And in the case that this is actually a bug, it should be a feature. Other than the display quirks, however, the Big Tab is pretty solid. The Tegra 4 chip under its hood has proven time and time again to be a powerful chip, and while it's now a generation behind, it's still more than capable of handling everything a child may want to do on the BTHD. One of Fuhu's biggest selling points for the Big Tab is the artistic side of that massive display, which it highlights with its "Big Canvas" app selection. 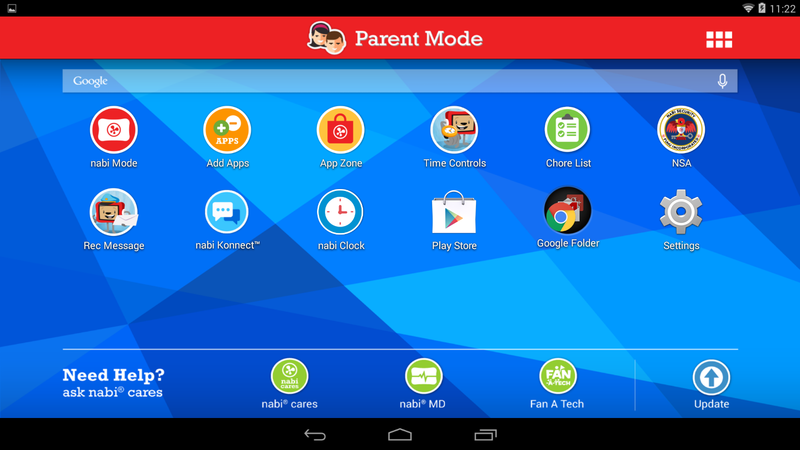 This is a small collection of Fuhu-exclusive apps designed to do things like create videos, books, and scrapbooks, as well as draw and explore other forms of art. Lastly, there's Show Time, a section designed just for entertainment. 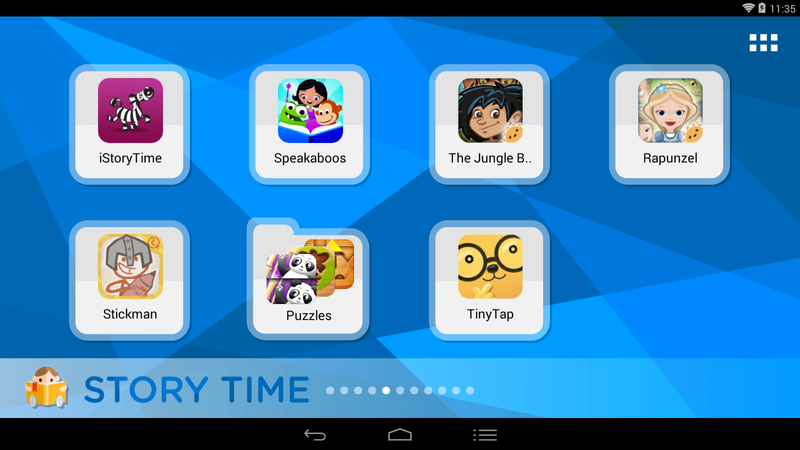 This is where kid favorites like Cartoon Network and Disney apps are found. Pretty simple. All in all, the software is strong on the Big Tab, and it turns this into more than just a huge-screened tablet. 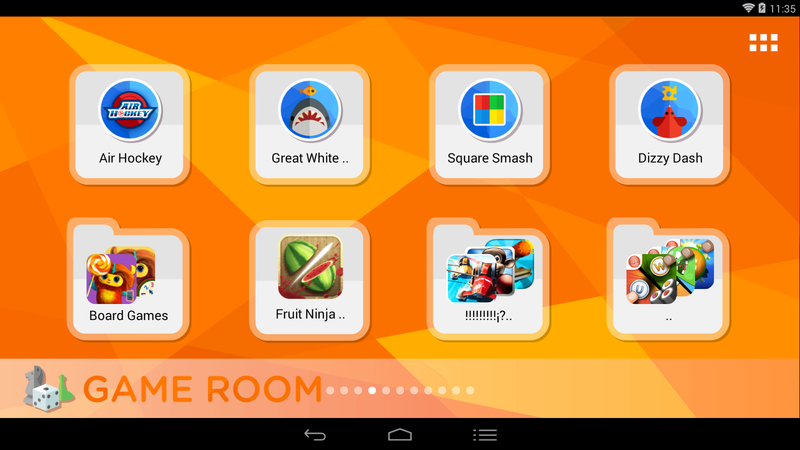 It brings family time to the digital realm, and offers parents a way to play educational games with their children, as well as siblings and friends a way to play classic games without all the mess and hassle of unboxing an actual game. With Big Tab, the hunt for all the missing checkers is a thing of the past. I like that. 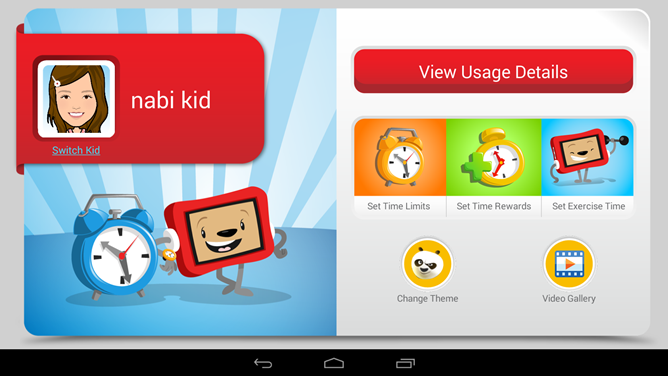 When I first looked at the Big Tab, I kind of laughed at the idea of a 20 or 24 inch tablet for kids. The more I used it, however, the more I not only warmed up to the idea, but actually liked it. I can see how families would benefit from having something like this in the home – it's just fun. And educational. The primary downside is of course the price, which is pretty steep at $450 for the 20 incher and $550 for the 24. If you have the extra funds and are looking for a device the entire family can enjoy, though, it may be worth at least looking into, despite its few software quirks.